How affected would my credit really be if I voluntary surrender my vehicle? I have a vehicle with a second chance finance company. I was told, as most dealer will in trying to sell you a vehicle, that I could refinance after 18 months. I attempted to do so but learned that the lien holder only reports to one credit bureau. Thus making it almost impossible to obtain a refinance or get another loan. According to the lien holder I have their lowest rate and they will not refinance. They have told me on 3 separate occasions that they are in the process of setting up the ability to report to the other bureaus it has been two years now. My question is how affected would my credit really be if I voluntary surrender this vehicle and am able to obtain another loan with a more reputable company? I am not benefiting from this loan at all. I have a high interest rate, I can not trade the vehicle without being extremely upside down, I still have 3 yrs on this loan and I am paying perfectly without it being reported on my credit rating. Review the consequences of a voluntary surrender of your vehicle. Avoid repossession if at all possible, due to the credit impact and the collection efforts that will ensue on what you still owe. While I understand your desire to rid yourself of this expensive loan, especially since it is not doing much to improve your credit score, you should probably avoid allowing the vehicle to go into voluntary repossession if possible. The primary problem with repossession is that you will likely be left owing a deficiency balance on your loan, meaning that you may still owe a significant amount of money to the lender even though you no longer have the vehicle. When a vehicle is repossessed, the lender usually sells the car at auction, and applies the amount it receives at auction to the balance you owe on the loan; the borrower is generally responsible for any amount of the loan which is not covered by the auction proceeds. Since lenders usually sell repossessed vehicles for significantly less than the cars are actually worth, borrowers are often left owing thousands of dollars on vehicles they no longer even own. The fact that you are already upside down on your current loan increases the probability of incurring a deficiency balance if you allow the loan to go into repossession. To learn more about auto loans, I encourage you to visit the Bills.com auto loans page. In addition to the possibility of owing a deficiency balance, allowing a vehicle to be repossessed will likely have a significantly negative impact on your credit score. Although your lender is only reporting information about its loans to one credit reporting agency currently, you mention in your question that it is working on reporting account histories to all three major credit bureaus—Equifax, Experian, and TransUnion. While a repossession may not have an immediate impact on your overall credit rating due to the creditor’s reporting limitations, the creditor could begin reporting information to the other bureaus at any time, which could cause you serious problems if you need to obtain another loan in the near future. You mention in your question that you have been trying to refinance your current loan. Your ability to refinance your current loan will depend not only on your payment performance on your current auto loan, but also on your overall credit history. If your credit rating is generally positive, you may be able to find a lender willing to refinance your current loan at a more favorable rate. Many banks will work with consumers to refinance their auto loans, providing them with much better terms than those offered by the original lender. I would encourage you to speak with various banks about the possibility of refinancing your current loan, at least to determine if refinancing is an option. Given the current problems in worldwide credit markets, obtaining a new loan may be difficult, especially if your credit history is less than perfect. That said, it never hurts to explore your options; you may find a much more affordable loan is available to you. To learn more about refinancing auto loans, I encourage you to visit Bills.com. From your question, it seems that the primary reasons that you are considering surrendering your vehicle are the interest rate you are being charged and the fact that the creditor is not reporting the loan to all three major credit bureaus. I honestly do not think that allowing your vehicle to be repossessed is the best way to solve either of these problems. Rather, I think that you should work on improving your credit score using other means so you can refinance your current auto loan. Allowing your current loan to go into repossession will likely only reduce your credit score and make obtaining a better financing for a new vehicle more difficult. 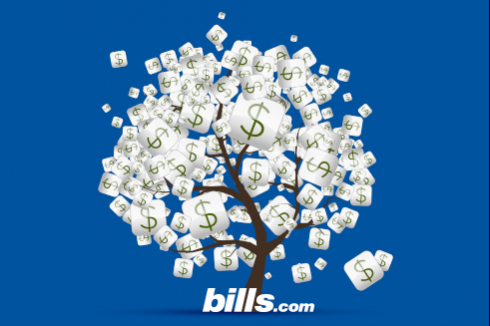 To read more about credit scoring, and for advice on how to improve your credit rating, I encourage you to visit the Bills.com credit resources page. My dealer "sold" me a lease a year ago when I told him I had another car on order for a year from then. I needed the car for only 1 year or less. He told me to lease it and he would buy it back in a year. He told me I'd owe him a few hundred dollars. Maybe they'd pay me? When I went to have them buy it back, he wanted $15,000! It seems car has depreciated 60% over 10 months? BS. I can afford both payments, (new car and "his" car) but I do not need 2 cars. I feel leasing should have never been offered. I am stuck with car. 2 years left. Voluntary surrender? Options? The economics you describe do not square with what I understand about vehicle leases. Typically, there's an upfront fee for a vehicle lease, monthly payments, and then nothing due at the end of the term unless the mileage limit was exceeded or the vehicle was beat up. You did not mention the dealer using excessive mileage or damage as an excuse for the $15,000 fee, so it is safe to assume you didn't drive to the Moon and back or convert it to a Burning Man art car. Take your lease contract to a lawyer in your state who has contract law or civil litigation experience. A lawyer will be able to tell you in few minutes what rights and liabilities you have for the leased vehicle. I have co-signed for a car loan for my friend who do not have credit history .after an year my friend moved to different city. After 2 years of regular payment without missing even single payment , the car went into accident and it only has a labiality coverage. I came to know about the accident when the towing company contacted me to sign and fax a voluntary surrender form to sell the car in auction . After signing the form, a month latter my credit score has fallen down from 710 to 620 all of a sudden .My friend is ready to make a payment for the remaining balance but the financers took time to sell the car and give us the balance amount. Now my question is why is delinquency / derogatory activity is reported on my credit report. First of all why co-signer has got to do with the accident and more over I observed my friends address reflecting as my previous address on the report. There is never a missed payment nor he is making delay in paying off the balance . Please advise how I can fix this negative flag on my credit history . Any advice is highly appreciated. When you became a co-signer, you took 100% responsibility for the loan. It seems that once you agreed to a voluntary surrender, it was reported to the credit bureaus. Your credit will start rebounding, once the debt is brought down to a $0 balance. Speak with the creditor to see if they are willing to alter the way the account was reported to the credit bureaus, as the balance is being paid in full. They may not agree, but it is worth a try. I in-house financed a car 6 or so months ago and am now moving away from hawaii back to Georgia. I can no longer afford these payments obviously and cannot take the car with me. The dealership said Try to sell it for the 5600 I still owe on it (not including the 25.99% finance I owe still too (2k)) and they will see if the owner is ok with that. and hopefully theyll forget about the difference I owe through the finance. I have like 4 days to do this and i doubt this 2k car is going to sell for 5600. what are my options? voluntarily surrender it back to dealership? take a 2k offer and run haha? Credit means nothing to me in today's world so I do not mind it denting that, however garnishing my wages or being sued I care. Check state regulations? If you can't sell the car for what you owe, you can either surrender the car or have them repossess it. Either way, the car will be auctioned off and you will be on the hook for any deficiency balance (the difference between what you owe- including the finance charges- and what the car sells for at auction). The lender can come after you in Georgia, though it may take some time to locate you. Hi, last year in october I leased a car. Back then, I had a good paying job and good enough credit to lease the car. but, In February, I lost my job and have been struggling to make payments since. I don't have a stable job anymore, the current one I have only schedules me once a week and is min wage. I'm trying hard to find another job, but it's proving to be difficult. I'm only 21 years old, and I don't have any credit cards or own any houses, etc. This is my first real big financial mistake, and I feel like voluntary repossession is my only option at this point. I can't be held down by this car anymore, it's not worth it to WORK for the car. what should I do? Your options are limited, as the original answer above implies. You can attempt to negotiate different terms with the lender. Alternatively, you can allow a voluntary repossession and surrender the vehicle. I am currently in settlement negotiation with my debt holder. The debt is for an autoloan on which i willfully surrendered the vehical. I contacted the company holding the debt and they informed me I owe $9,100 and are willing to settle with me for $3,100. This would be great, only i don't believe i owe that much on the debt. I asked for proof of debt to be sent to me and was told that i cannot obtain a record of what was owed, what the vehical sold for at auction, principle/interest.ect. Is this standard practice? I believe I have a right to be shown proof of debt. Am I wrong? details: the default is over two years old through citi-financial. I am currently dealing with a collection agency. I have not received any information from citi-financial since the surrender. Honestly thought i may have broke even. Any help would be greatly appreciated. You indicated you reside in California. I am not aware of any California statute that requires a creditor that repossessed a security that resulted in a deficiency balance to give an accounting to the debtor. (Readers, please correct me if I am wrong.) Nevertheless, you have what the creditor wants — your money. Make seeing that accounting a condition of settling the debt. No accounting, no payment. In the meantime, validate the debt.